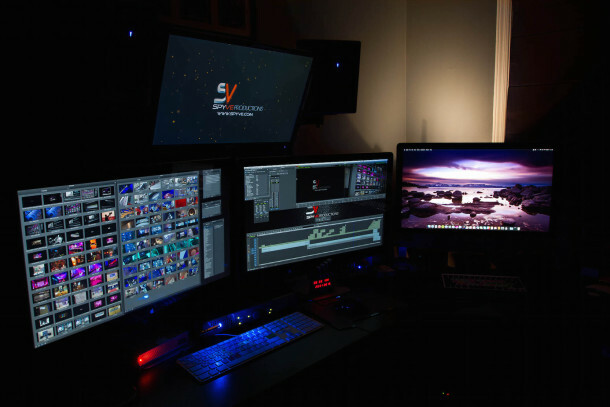 This weeks featured Mac setup is the awesome workstation of Spiros P., the owner of a production company who has a really great pro setup. Let’s jump in and learn a little bit more and see some more great setup pictures. I’m the owner of SpyVe Productions, a video production company. I’ve been an Apple user since 1995. What Apple hardware is part of your setup? What do you use your Mac setup for? I use the hardware for video editing and photography. Want your Mac or Apple setup featured on OSXDaily? Go here to get started! 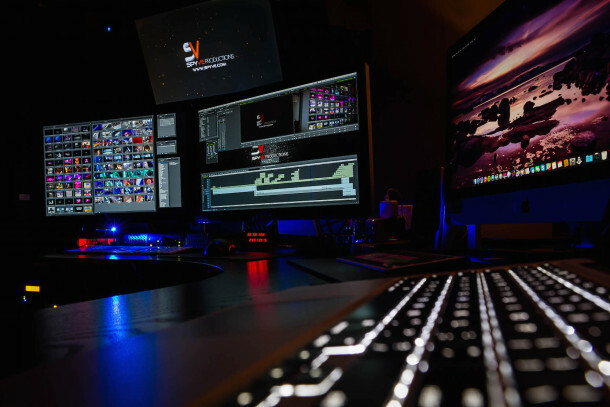 We share many workstations, but tend to prefer the longer form Q&A format, so do take a moment to answer some questions about the hardware and software and how you use your setup, take a few high quality pictures, and send it on in! You can also browse through other Mac setups if you like to check out other workstations, how people use their Apple gear, or just want some inspiration for your own setup. 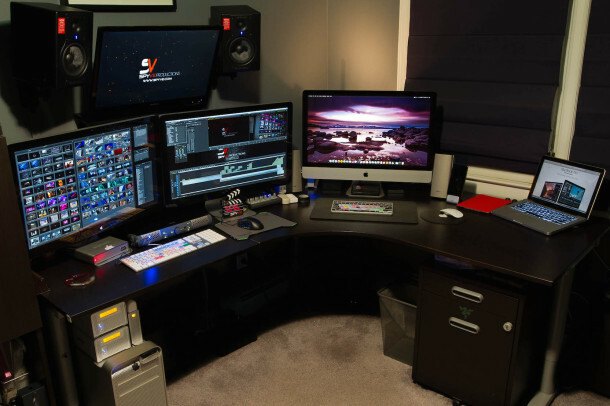 Really nice Mac desk setup! Looks like the answers got truncated or something though, I would be interested to know more about the hardware components and software used! I hope help you with this information. All Computers Running Osx Yosemite 10.10. Honestly, just skimming through and landing on the list . . . I was honestly surprised and immediately transformed my perspective, when I saw… “Clean My Mac 3” … and “Toast”. …granted Photoshop and good on ya with Motion, but no After Effects? Really? . . .
Just glad to see FCPX on the list :). But . . . honestly . . . Clean My Mac? Really? Why? Just Curious. And open to actual validity. The Clean My Mac is only for uninstaller part and old and big Files..
Im not After Effects expert.. The Motion For me it’s ok for now. If I can find one Guy expert i have this program too..
New Apps Andy From Adobe!! Litle By Litle im Learning the after Effect!! I Loved! Looks like he is a man of mystery. Bummmer. I was actually interested in reading that one. Thank yoy Guys Appreciate it!! Great setup feature! The formatting is displaying weird on my browser though, like there are too many line breaks in some of the lists. Hi Matte and thank you!!! What Software Is On The Double Screens? This is was From ikea.. I don’t Have Link Im sorry..
Great setup. I am an outdoor writer and want to start doing video without buying all new Macs. I like this setup will have to start looking.